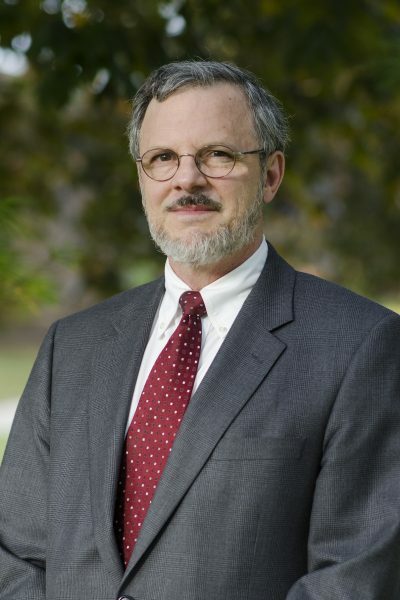 Kevin J. Vanhoozer is research professor of systematic theology at Trinity Evangelical Divinity School. 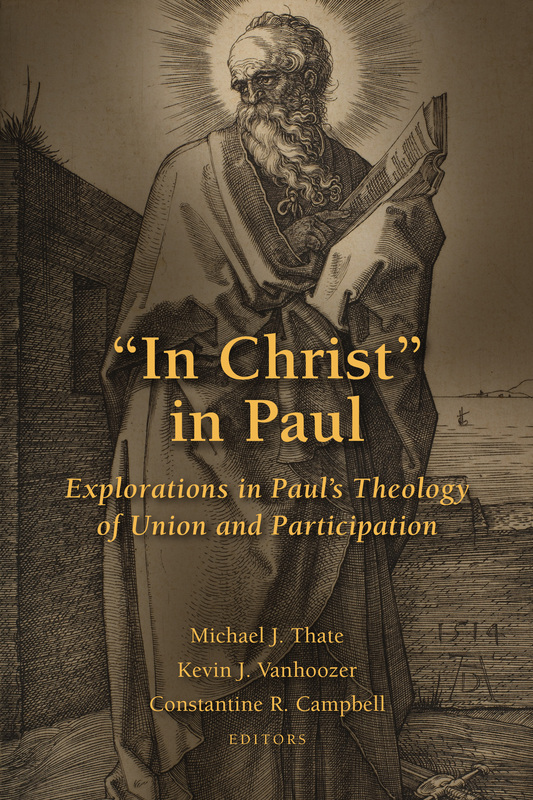 The author of numerous books, Vanhoozer is also an editor of and contributor to the new book “In Christ” in Paul: Explorations in Paul’s Theology of Union and Participation. Vanhoozer’s essay “From ‘Blessed in Christ’ to ‘Being in Christ’” is excerpted below. There is ancient precedent for such “prepositional” theology. Basil of Caesarea, the Great (ca.330–79) wrote an influential treatise, On the Holy Spirit, which refuted heretical views of the Holy Spirit largely by examining their misinterpretation of biblical prepositions. Indeed, Basil opens his treatise (written in reply to Amphilochius, a fellow bishop) by affirming the principle “that not one of the words that are applied to God in every use of speech should be left uninvestigated.” The heretics claimed there were three Gods on the grounds that the three divine persons were assigned different prepositions (e.g., Paul in 1 Cor 8:6 says that all things are “from” the Father but “through” the Son). Basil rebuts this claim by carefully examining biblical usage, effectively demonstrating that there is no such strict division of prepositional labor. What Basil says of the prepositions that affect the doctrine of the Holy Spirit applies to union with and participation in Christ as well: “What you want us to examine is both little and great, little in the brevity of its utterance … and great in the power of its meaning.” Indeed. Paul uses the phrase “in Christ” (ἐν Χριστῷ) seventy-three times. When we add other ways of expressing union with or participation in Christ (e.g., “in him,” “with Christ,” “through Christ”), the number of Pauline instances more than doubles, to 164 instances. The statistics are clear, their meaning less so, in large part because biblical prepositions alone are insufficient to determine meaning. 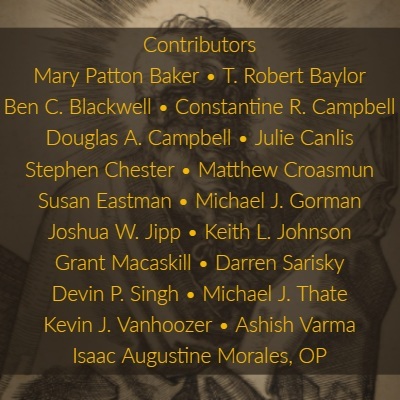 A number of detailed exegetical studies of Paul’s use of “in Christ” and other related phrases (e.g., “with Christ,” “through Christ”), culminating with Campbell’s magisterial study Paul and Union with Christ have appeared in the past fifty years. We have time here only for a peek into these discussions. There is also broad agreement that Paul, unlike John, does not treat “in Christ” as a two-way street: that Christ dwells in believers is something that Paul affirms, but not usually in terms of ἐν Χριστῷ. to two basic types, emphasizing either locality (where something is or is being done, e.g., “A is in Christ”) or instrumentality (what is being done, e.g., “A does x through Christ”) respectively. As to the instrumental sense, Barth notes that in about one-half of the occurrences of “in Christ” in the book of Ephesians, “God is the subject of the decision or action made ‘in Christ.’” More generally, the phrase always seems to concern the relationship formed in/by/through Jesus Christ between God and God’s people. However, at the end of the day Barth acknowledges the problem with trying to fix the meaning with a single definition: “Paul used the formula in more than one sense.” On this point there now seems to be a general consensus. There is also broad agreement that Paul, unlike John, does not treat “in Christ” as a two-way street: that Christ dwells in believers is something that Paul affirms, but not usually in terms of ἐν Χριστῷ. Harris also allows for other uses/meanings of ἐν Χριστῷ, including “incorporative union.” As with all difficult exegetical decisions, historical context looms large. Which context did Paul likely have in mind in speaking of what God is doing to believers in Christ? One intriguing possibility is that Paul used ἐν to signal a distinctly Hebrew conception of social solidarity according to which the “many” were viewed as incorporated into a representative “one.” This way of relating the one and the many is no abstract principle but is rather woven into Israel’s concrete history, where individuals (e.g., Abraham, Moses, David) represent the people before God. The covenant blessing of God’s presence eventually comes to focus on David’s house in the figure of a future Davidic king (2 Sam. 7:14-16). Prepositions can, of course, take us only so far. In short: the Messiah does what Israel (and Adam) failed to do, and thereby receives the inheritance promised to Adam, Abraham, and David, as does anyone else who is “in” (i.e., represented by and incorporated into) the Messiah. Macaskill comes to a similar conclusion after examining the Isaianic servant songs (especially Isa 53): the servant represents Israel, fulfilling her vocation, “and through him they participate in the narrative of salvation.” It is to this narrative, a level of discourse beyond prepositions, that we now turn. Purchase “In Christ” in Paul at Eerdmans.com, Amazon, Christianbook.com, or at your local independent bookstore.